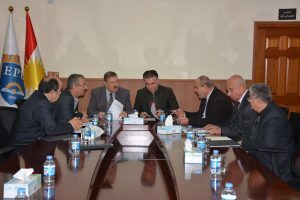 On Monday 21/1/2019, A delegation from Tishk international university visited Erbil polytechnic university(EPU). The aim of the visit was, to discuss signing a new memorandum of understanding for opening joint higher educational courses. As a result of the meeting, the both sides have reached an agreement to renew memorandum of understanding that had been signed a year ago. Arranging this meeting, came after the marked success of the first agreement. 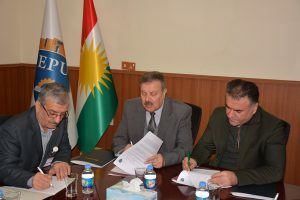 It has been signed by both Assistant prof. Dr. Kawa Sherwani, the rector of EPU and Dr. Edris Hadi, the head of Tishk international university’s board of trustees.